Bird Netting, when installed correctly, is the only 100% effective bird control method available. It can easily be used, reused, moved or stored without damaging the netting. For suggestions and more information, please see Product Description below. 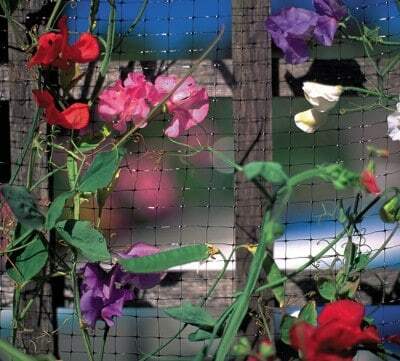 Please see Big Bug Netting, Utility Netting and/or “Bug Out” Garden Insect Screen for products with similar applications. 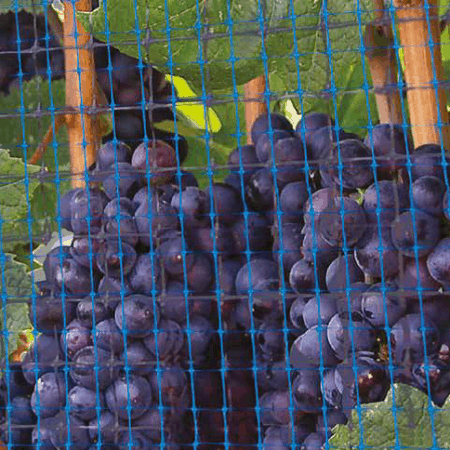 For larger sizes please see Vineyard-Bird & Bug Netting and Vineyard-Multi-Row & Drape Netting. 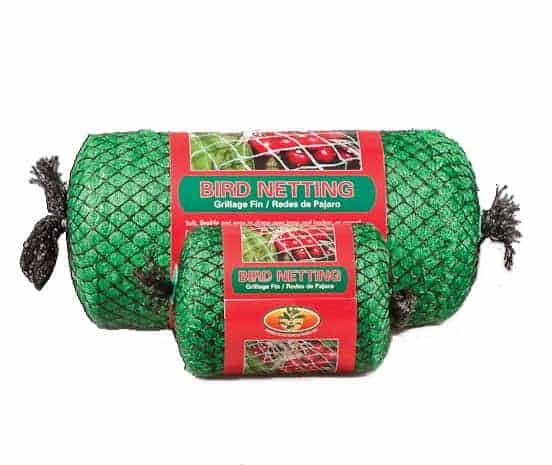 For discounted Bird Netting, please see Bird Netting Odds & Ends. 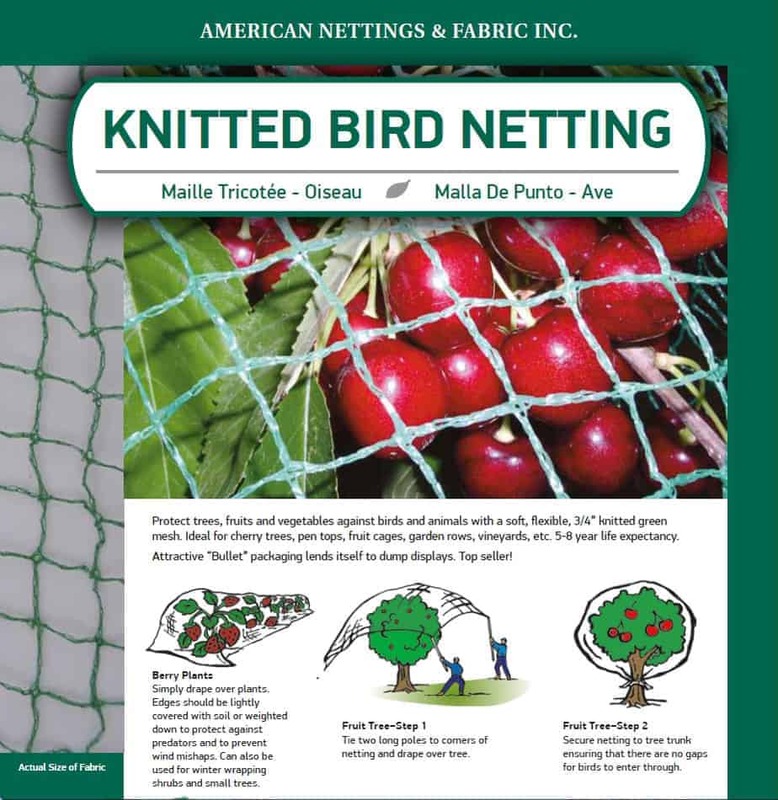 Knitted Bird Netting offers protection for bird attracting plants such as strawberries, blueberries, grape vines, peaches, plums, nectarines, figs, etc. as well as protection for vegetable gardens. 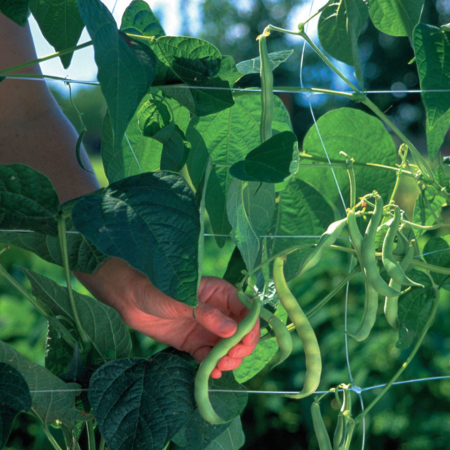 Simply drape over plants and secure edges by using Fabric Staples & Pins or by covering with soil. 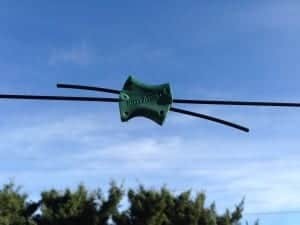 This helps prevent wind mishaps and further protects from predators. 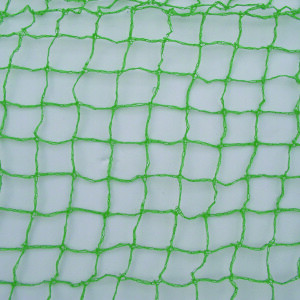 Protect trees, fruits and vegetables against birds with a soft, flexible, 3/4″ knitted green mesh. 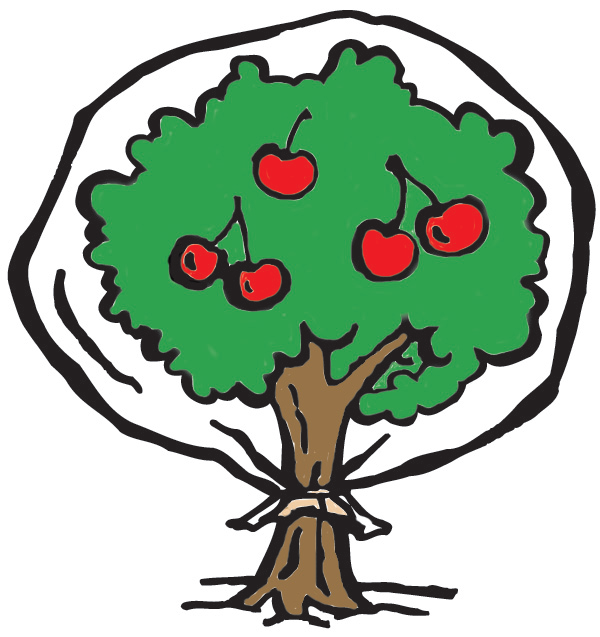 It is ideal for cherry trees, pen tops, fruit cages, garden rows, vineyards, etc. 5+ year life expectancy. Knitted Bird Netting can also be used to protect fruit trees. 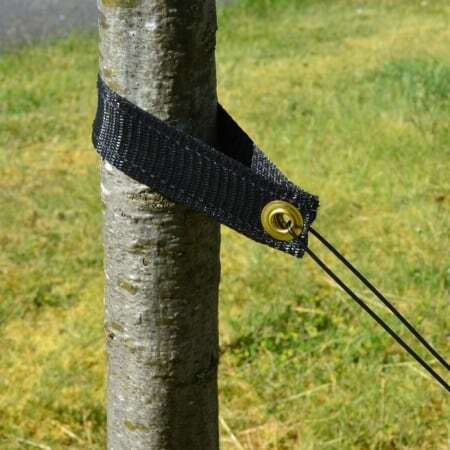 It can be used as an instant canopy guard (not secured around the trunk or to the ground), but is recommended to secure Bird Netting for better protection. To do this, tie two sides of the Bird Netting to two long poles. 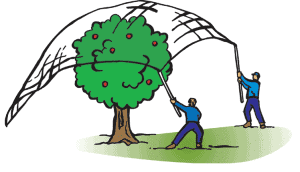 With two people, use the poles to drape the netting over the top of the tree. Once that is finished, secure netting to the trunk of the tree. Tie two long poles to the corners of netting. Secure netting to tree trunk ensuring that there are no gaps for birds to enter through. It can be used to keep birds from roosting on or around outdoor structures such as barns, garages and attics. On a larger scale, Bird Netting can also be used to secure industrial and commercial buildings from birds, including pigeons (sometimes called Anti-Pigeon Netting). 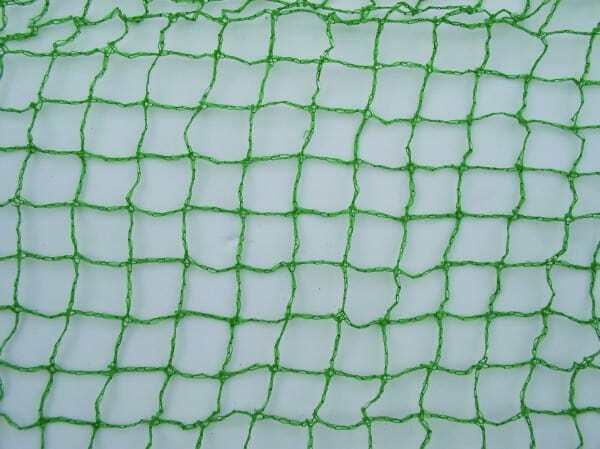 Another use for Bird Netting is protection for fish and other aquatic animals in ponds or small water features. It not only protects against birds, but also otters, weasels and other fish-eating nuisances by creating a secured barrier. When putting up Bird Netting over a pond, it is recommended to have 2 or more people around to help. Stretch the Bird Netting over the pond, keeping it high enough off the water to prevent sagging. 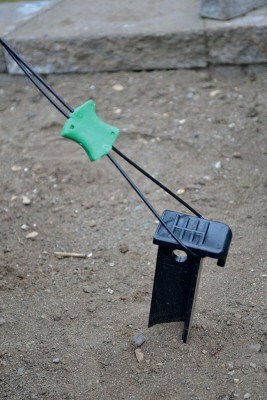 Use pegs to secure the Bird Netting around the perimeter of the pond. 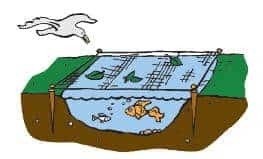 If there is a larger gap between the pond and Bird Netting than desired, simply attach more netting to the perimeter and secure directly to the ground. For large ponds, suspend wire, such as Poly Line or Agro-Line, or cord over the pond for added support (to prevent the Bird Netting from sagging). 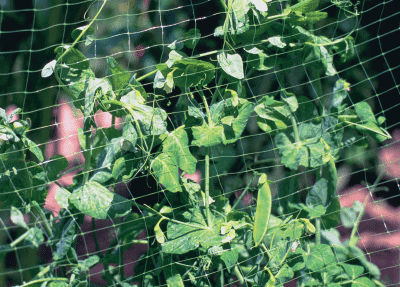 Bird Netting can be joined by Netting Clips or lacing for larger sizes. Because of it’s lightweight design, Bird Netting can be used as the top to chicken enclosures. Simply fasten it to the top of the coop using staples, nails or lacing. 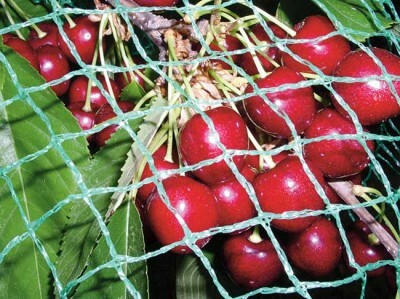 Bird Netting, once it has been used for the growing season, can be reused as shrub or small tree winter wrapping. See Shrub Wrap for wrapping instructions. It can also be used for shrub wrap, pond protection and for the top of chicken coops.